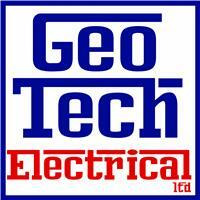 Geo Tech Electrical Ltd - Alarms/Security, Electrician based in London, Greater London. Geo Tech Electrical Ltd is a well-established NICEIC approved electrical installation and testing company. With competitive prices and 24/7 call out services, you can ensure that Geo Tech Electrical Ltd will provide you with a fast, friendly and reliable service. Call now for a free quotation.